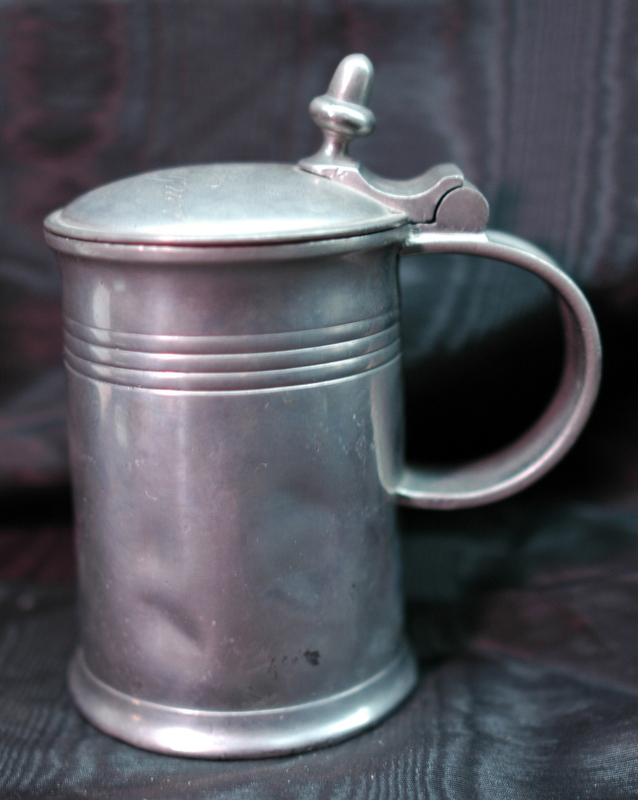 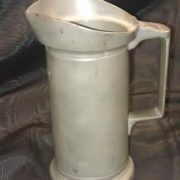 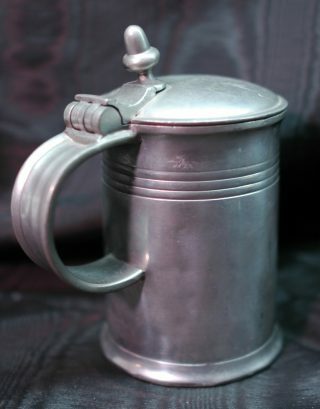 This vintage English pewter tankard dates to the 18th century. 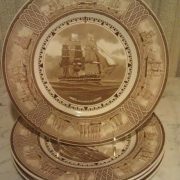 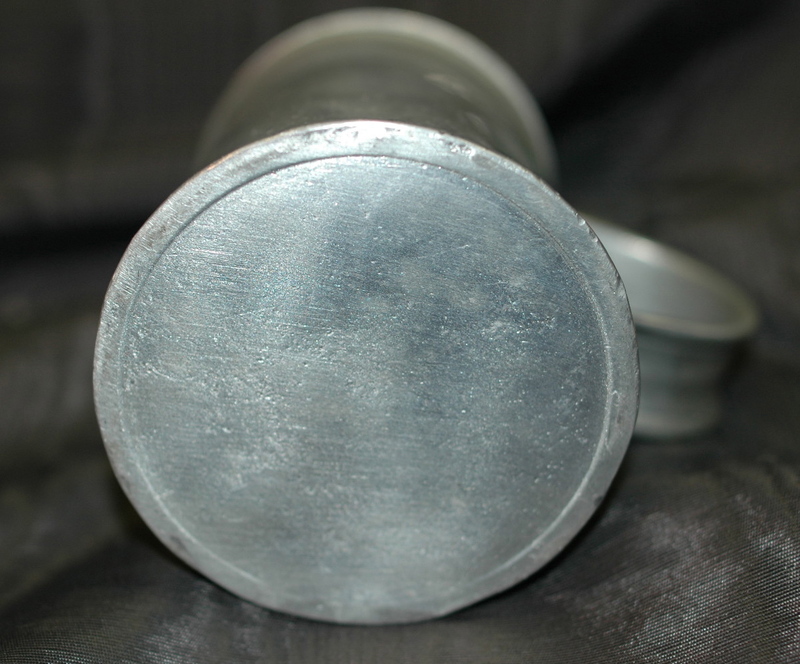 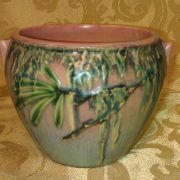 It is engraved on the lid with “A. 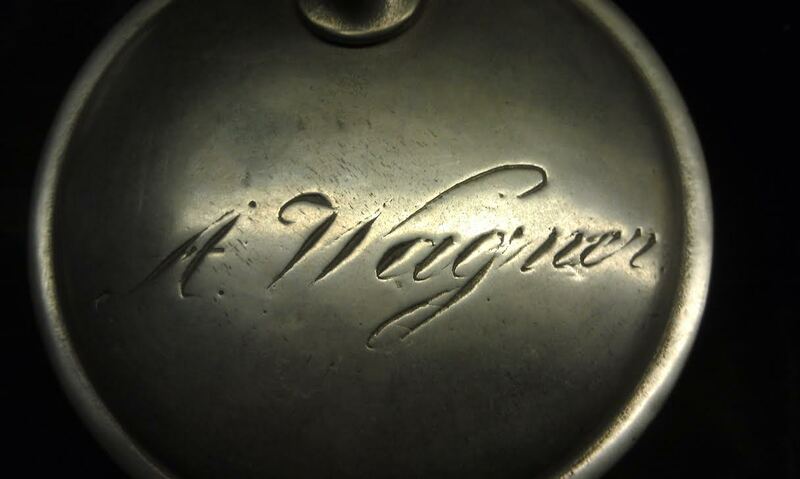 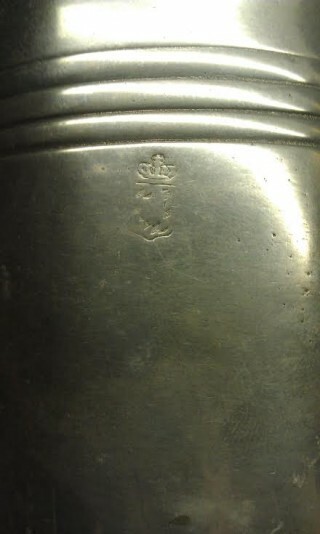 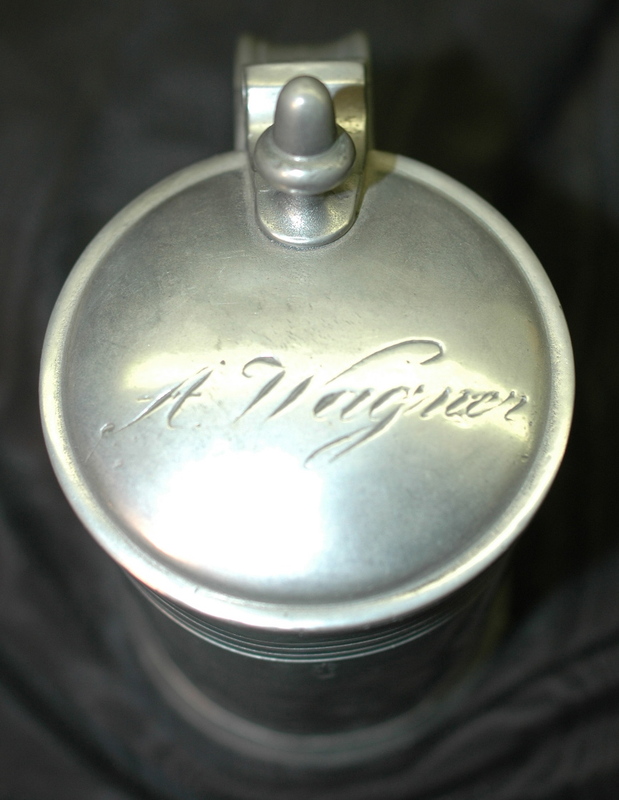 Wagner” and has “Winkler” stamped on the inside of the lid. There is a hallmark on the front which consists of a crown; the rest is nearly worn away. 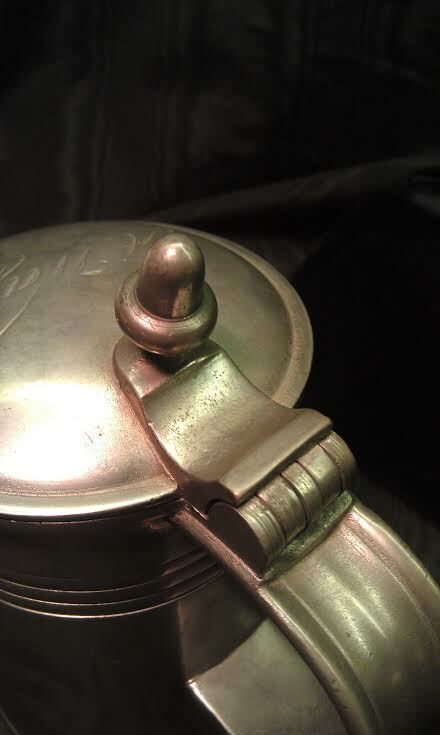 The thumb design on the lid is an acorn. 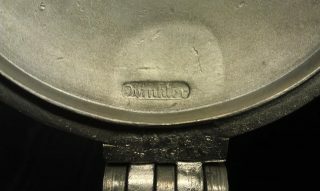 It's a well-made piece with thick metal. Nice and clean. 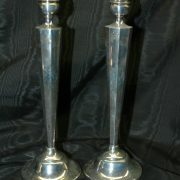 It does have some denting on the sides with the largest to the left of the handle. 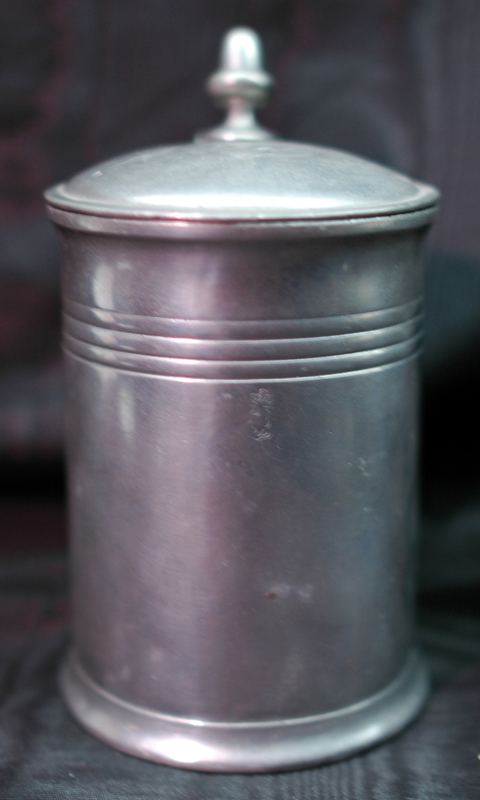 The tankard measures 6″ tall.